India is not a uni-lingual country like U.K. or U.S.A. It is a multi-lingual country like Switzerland. Russia and Indonesia. 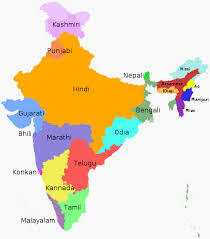 People of different parts of India speak different languages, such as, Oriya, Bengali, Hindi, Punjabi, Assamese, Tamil, Telugu, Canarese, Malayalam, Urdu and so on. Besides, there are a number of dialects and aboriginal languages. English is spoken as the mother-tongue by the Anglo-Indian community of India. Hence, India needs a national language or lingual-franca for all the people of India. Since the pre-independence period, Mahatma Gandhiji was against Hindi to be accepted as the national language. He was favouring Hindustani which has a large vocabulary of Urdu wards. Gandhiji disagreed with the Hindi Prachar Samity of India and severed all connections from it. However, after freedom, Hindi was introduced as our national language under the bayonet of the Hindi stalwarts like Purusottam Das Tondon but at the teeth of southern opposition. The Hindi scripts with English numerals were introduced. The Hindi stalwarts still fought against English numerals but failed. Hindi is opposed because it is a very difficult and complicated language. Hindi has a difficult grammar. The Hindi grammar has got a ridiculous gender system. Hindi is not a rich language. So, Hindi is neither respectful nor useful. Therefore, people oppose to it vehemently. Majority number of Indian states are non-Hindi-speaking States. We have got a rich and scientific language like English. So, people do not want to part with English for Hindi. Indian needs a language common to all Indians. But Indian can part with English only to her peril. So, it must be declared that English will remain in India in her usual position. 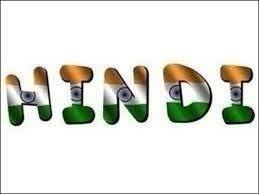 Hindi will be used as second language only to keep contact inside India. For this Hindi language should be simplified. Hindi grammar should be simplified. Te ridiculous gender system of the Hindi grammar should be abolished. It would be better it the Hindi script be replaced by the Roman script. However, we should all read Hindi as our official language. Because it is now our constitutional official language, though it is not our popular national language. It is proved by the Dravide Kazagam Movement in the South India. But we should not impair the position of English. Because that will give rise to another Pakistan in South. Bengal may revolt and may demand sovereignty as it once had done over another issue. Orissa may not be happy over it. Because we do not want to lose English. We do not want to lose a valuable treasure which God has given us to attain national solidarity a rare thing in the history of India.